If you still haven't gotten around to giving the new Furphy Beer a taste then you're in luck. Simon from Lion will be coming down to hold a free tasting this Friday 3.30-6.30pm. Carton prices $50 and $15 for 6 Packs. 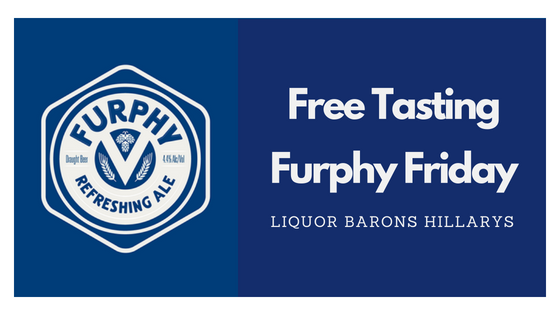 The following Friday on the 29th, we will be having a “Free Furphy Friday” where we will be offering a free stubby of Furphy with any carton purchase or beer purchase over $50, one per person. Register your interest in attending in the event here.